[In the Bhagavad-gita it is also said that such fallen devotees are given a chance to take birth in a family of highly qualified brahmanas or in a rich mercantile family. A devotee in such a position is not as fortunate as one who is chastised by the Lord and put into a position seemingly of helplessness. The devotee who becomes helpless by the will of the Lord is more fortunate than those who are born in good families. The fallen devotees born in a good family may forget the lotus feet of the Lord because they are less fortunate, but the devotee who is put into a forlorn condition is more fortunate because he swiftly returns to the lotus feet of the Lord, thinking himself helpless all around. [Paramahamsa: How can one remain humble in executing his devotional service? I would like to propose the following passage is key to understanding how a devotee tries to claim to be the most fallen or lower than the worm in stool. This suggests that the devotee wants to learn from every soul how to serve Lord Sri Krsna. I do not find it difficult to conceive of being lower than the worm in the stool. We can see from the following section of the Srimad Bhagavatam that insects are on a higher level than plants. Apparently, the spirit soul can enter into stone or become a plant. Lord Sri Krsna delivered the twin Arjuna trees which had been demigods who had be cursed by Sri Narada for being indecent or disrespectful. Therefore, if our spirit soul deserves to enter inert matter or plants then isn’t that lower than insects, even the worms in stool? But, there is one item I am still have trouble understanding. 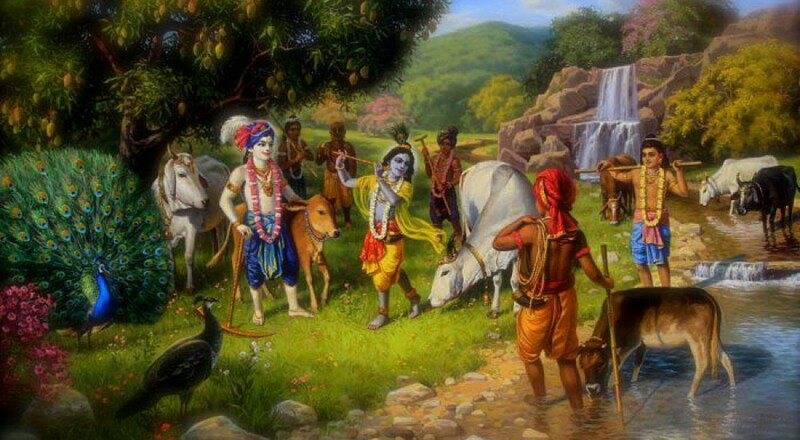 How can the pure devotee refuse Vaikuntha Dhama or Krsna-loka? We are instructed by Guru, Sastra, and Sadhu to desire Vaikuntha Dhama, Krishna-Loka, and there is the possibility of acting as servant of the Supreme Personality of Godhead life after life. Should we assume that the pure devotee is desiring a higher level of service to the Supreme Personality of Godhead by refusing Vaikuntha Dhama and Krsna-loka?